A mug with a wide base for extra stability, and two handles for a comfortable grip. Price excluding VAT.(Incl. VAT £13.07) *VAT Relief available on this product. The Caring Mug has been designed to make drinking easier. It has a wide base which helps to enhance the stability, making it less likely to be knocked over. 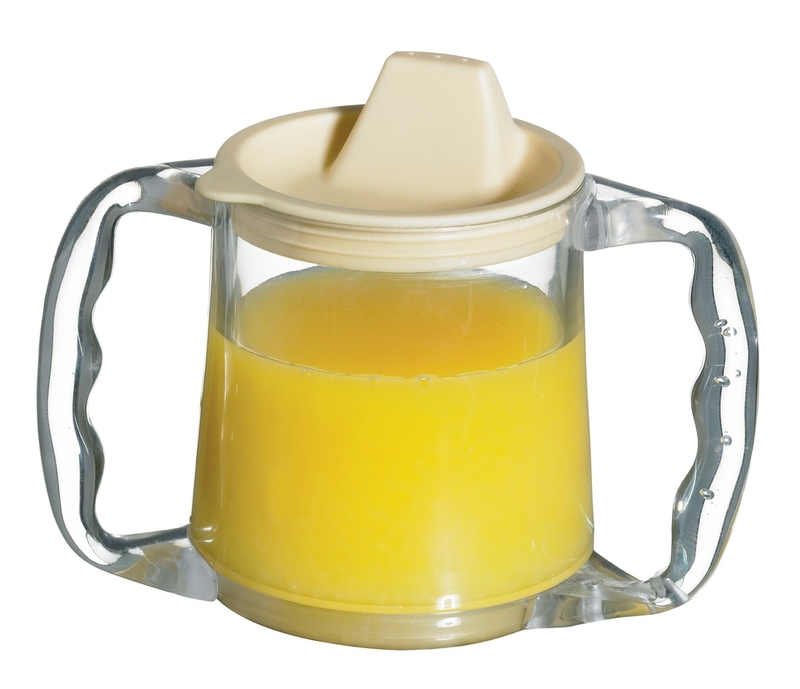 It has two large contoured and angled handles which will help you hold it in the correct drinking position. A lid which fits tightly and securely keeps the liquid from spilling out. The Caring Mug is perfect for elderly and disabled users who can’t sit in an upright position or who suffer from tremors. With a maximum capacity of 300ml (11 fl. Oz), this mug will reduce the chance of spillage, is practical, and microwave safe.